Technical Education is the backbone of every nation and is the stepping stone for a country to move into the niche of a developed nation. Paladugu Mangamma chartable has been contributing in the mission of transforming rural India into developed nation by running Paladugu Parvathi Devi College of Engineering and Technology (PPDV) AT Nunna with innovation, creativity, human intelligence and patience. "Service to Human being is Service to God". It gives me immense pleasure to welcome you to the creative world of PPDV which has very eco-friendly campus and is equipped with state-of-art infrastructure. We have well equipped labs, workshops and libraries to help students in attaining highest standards in academics, research and professional skills. The campus has adequate sports infrastructure to take care of Sports and recreational activities. Creating better human beings’ is our motto and we can do that when we are able to mould our students to be good human beings with values which are embedded for life. We aim to provide an overall development that nurtures them towards becoming strong and focused human beings. Soft skills and educational skills is what the institution seeks to provide every student at the campus itself through its PPDV PATTERN. The main focus of the Institution is to empower students with sound knowledge, wisdom, experience and training both at the academic level of Engineering and in the highly competitive global industrial market. The infrastructure facilities and state-of-the-art equipments combined with a galaxy of competent, talented and dedicated faculty contribute to an enjoyable and an easy learning experience. We wish the best for all our students, and the members of the institution who reiterate their aims at providing the best in academic and extra-curricular fields. We must believe that success is inevitable where these exist- Foresightedness, Firm Determination, Hard work and Discipline. 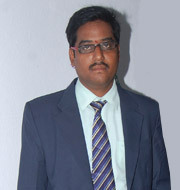 You are assured that you will be proud of yourself as a confident and successful technocrat after Four years at PPDV. Once again, we wish all our students and faculty a successful and rewarding career.